Chanyeol received a video call fellow artist Tak Jae Hoon on Mnet‘s New Music, where he gave some unexpected advice for getting into SM Entertainment. During the video chat, Tak Jae Hoon asks Chanyeol if it’s hard to get into SM Entertainment. 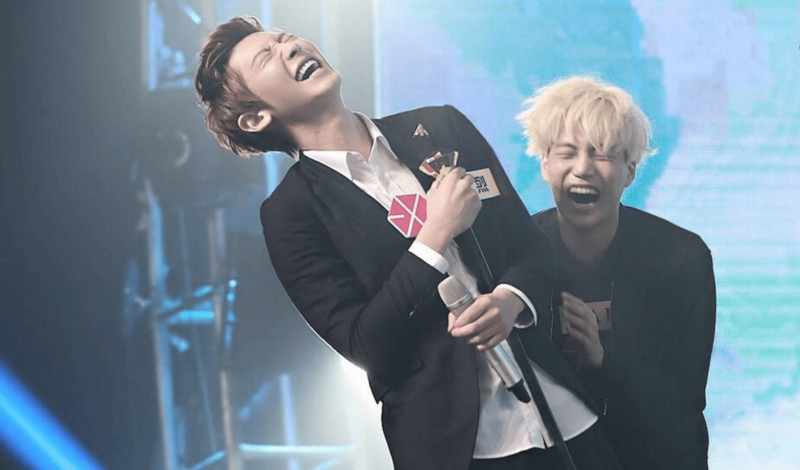 Chanyeol’s unexpectedly witty response had everyone in stitches. The host then clarifies the question for Chanyeol and the situations is quickly resolved. Though Tak Jae Hoon’s question was not meant to be given so literally, Chanyeol’s reply has nonetheless amused many fans.